We have returned to the community we called “home” for more than two decades and I am saddened to know what I know about the place that provided me with a nice income — and untold joy — for most of that time here. 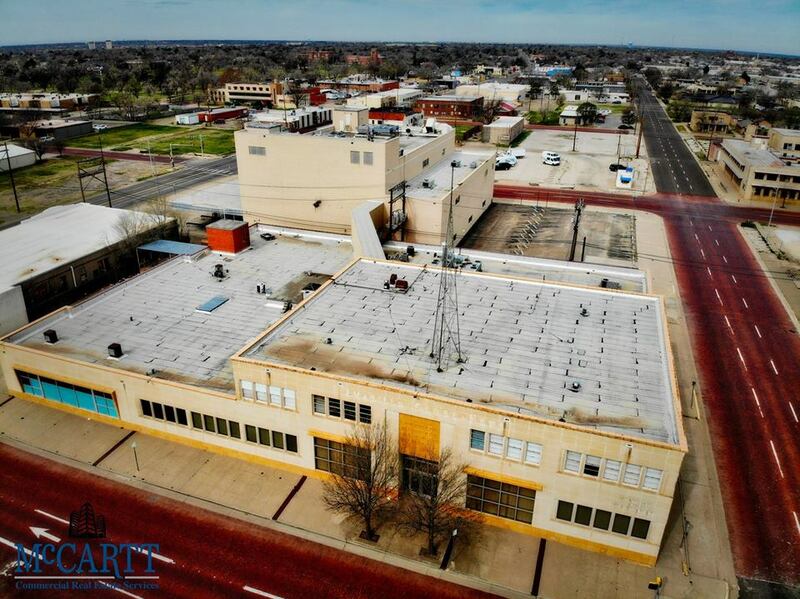 The Amarillo Globe-News building — indeed, the entire complex of buildings — is on the market. It’s being sold. To someone who will make use of the property on the black between Ninth and 10th avenues and Van Buren and Harrison streets. The Globe-News has vacated the site, moving into an antiseptic suite of offices down the street and around the corner at the 31-story bank building that towers over downtown Amarillo, Texas. I saw a social media post the other day that said McCartt and Associates, a big-time commercial real estate broker, has listed the G-N site. I guess the powers that be didn’t take my advice. I sought in an earlier blog post to persuade Morris Communications Corp., which used to own the newspaper but which still owns the physical property, to donate the site to the Panhandle-Plains Historical Museum, which could turn the property into — what else? — a museum honoring the rich tradition of print journalism in the Texas Panhandle. I thought that Old Man Morris — William Morris III — could make good on his oft-stated pledge to support the community. Hey, here was his chance. He gave up on newspaper publishing, but he could have given the property to the PPHM to do something honorable and noble with a building that used to symbolize an honorable and noble craft. Indeed, the Globe-News used to have a plaque on the side of one of its buildings honoring the work of the late Tommy Thompson, the iconic editor of the evening Globe-Times. All he did, of course, was win a Pulitzer Prize for Meritorious Public Service, which is the top prize offered by the top print journalism organization in the country, if not the world. The Pulitzer jury honored Thompson for his dogged reporting in rooting out county government corruption. So he received the 1961 Meritorious Public Service prize. I was proud to be associated with an organization that could claim such an honor. My association with the Globe-News ended in 2012. I held out hope that he paper would survive and be reborn in this changing media climate. I am fearing far less hopeful today. Morris sold the paper to Gatehouse Media. The Globe-News’s reporting and editing staff has been decimated. Morris started the gutting years ago; Gatehouse is finishing the job. Now the paper that once stood proudly on that downtown block is being offered to someone who will do something with the vacant hulk of a structure. At least, though, those of us who have moved on will have our memories of the pride we threw into our work on behalf of the community we served. I hereby admit to being in a state of denial for many years about the fate of print journalism as I have known it and practiced it. We all have watched daily newspapers downsize to the point of virtual disappearance. They have gone from daily distribution to twice- or thrice-weekly distribution. We’ve witnessed layoffs; indeed, I watched colleagues and friends get their pink slips and leave a craft that gave them untold satisfaction and a sense of accomplishment. All of this involved organizations that paid me to do what I did for so very long. In Beaumont and Amarillo, to cite two examples. I didn’t accept what was happening before my eyes, that the fates of two proud journalistic organizations might be in serious jeopardy. I now have to throw off that denial and acknowledge what others have said for far longer than I have been willing to acknowledge: those community institutions might not be around past the foreseeable future. The pending death of the Hereford Brand in Deaf Smith County, Texas, is just another example of what is occurring. A Texas Panhandle community no longer is going to have a way to read about its story. The Brand is folding up, going away. Gone forever! So what happens to other such newspapers that used to serve that community as well? I have the Amarillo Globe-News in mind. The Globe-News, where I worked for nearly 18 years as opinion page editor, used to cover Deaf Smith County like a blanket. That is no longer the case. The Globe-News has been retrenching, pulling back for years. Its former corporate owners, Augusta, Ga.-based Morris Communications, oversaw much of that retrenchment. Then the company sold the G-N to GateHouse Media, which also purchased the Lubbock Avalanche-Journal from Morris. GateHouse now appears to be finishing what Morris started. It is melding two news and opinion organizations into one. What does that mean for Amarillo? Or for Lubbock? Or for the West Texas region that both papers serve? If I knew the answer I would still be a working stiff. I’m not. I am on the sidelines now watching from some distance with an increasing sense of dread of what the future holds for journalism as I once knew it. I have plenty of friends, acquaintances and former professional “sources” who tell me they fear for the worst for Amarillo and the Panhandle. They tell me they believe the Globe-News’s days are “numbered.” I would dismiss those fears as overheated fearmongering. Today, I am not nearly as serene about it. I am officially frightened for the future of journalism. The Internet Age has inflicted serious wounds on a proud craft. I fear they are mortal wounds. I hope I am wrong, although my hope is unable to match my fear. I am so sorry to report that Amarillo and Lubbock aren’t the only two communities in America where newspaper editorial policy is suffering from the urge to combine resources under a combined “regional” approach to commentary. A friend sent me a link telling me that Charlotte and Raleigh in North Carolina are combining their editorial pages, that they’ll be supervised by a regional editor who will oversee editorial policies in both communities. Oh, my goodness! 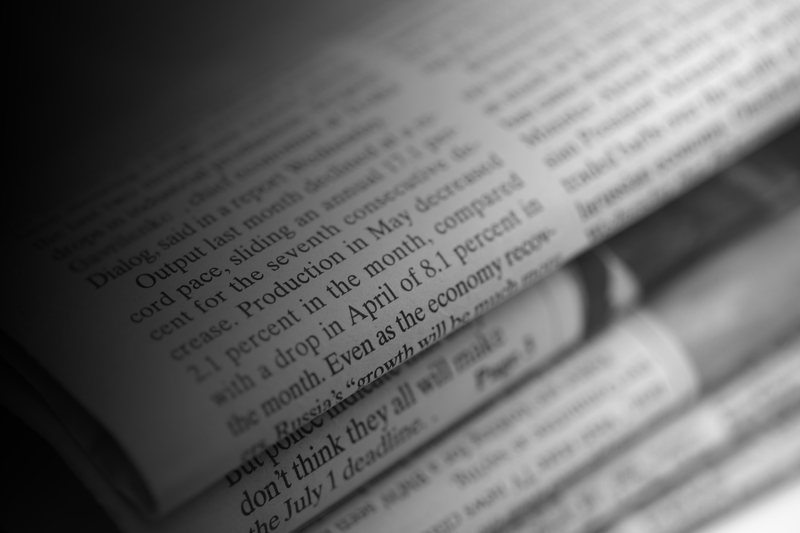 The deterioration of editorial autonomy is deepening. GateHouse Media, which owns the Amarillo Globe-News and the Lubbock Avalanche-Journal recently announced hiring a guy who will serve as a “regional director of commentary.” He’ll live in Lubbock and then commute to Amarillo on occasion during the week, I suppose to try to read the pulse of the community. The early returns aren’t too promising. The Texas Panhandle no longer has a newspaper that provides leadership on local issues; nor does the South Plains region. As to what is happening in North Carolina, I predict a similar fate befalling those Charlotte and Raleigh. McClatchy Newspapers runs the Charlotte Observer and the Raleigh News & Observer. Those cities also are even more diverse and disparate than Amarillo and Lubbock. They both are cosmopolitan cities; they are highly sophisticated. Raleigh is part of that Research Triangle region that brims with high-tech expertise; Charlotte is the state’s largest city and is a bustling financial center. The release I read about the N.C.-merger reads, in part: The move is the latest in a series of changes that combine McClatchy’s North Carolina operations. Presumably, this will mean the board will focus more on statewide news and less on local news specific to Charlotte or Raleigh. There you have it . . . more than likely. 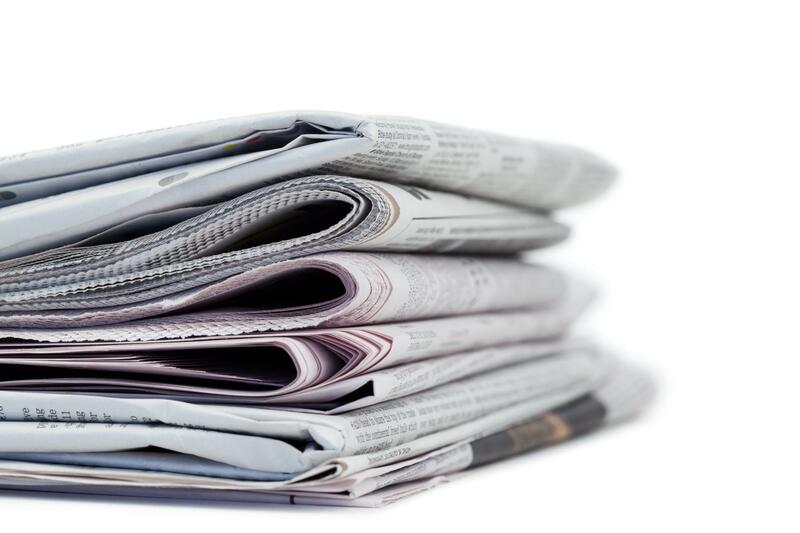 Both communities’ newspaper editorial pages are likely going to look away from those issues of specific interest or concern to them individually. Oh, the demise of newspaper editorial leadership continues. It is painful for this former opinion writer/editor to watch. My concerns about the future of print journalism in the community I used to call “home” are mounting. The Amarillo Globe-News just announced the hiring of a new “regional” distribution director. His name is David Morel. The Globe-News published a nice story today extolling his experience and all that kind of thing. Upon reflection, I think I know. GateHouse media, the owners of the Globe-News and the Avalanche-Journal, seem to be moving toward some sort of media merger. The future of West Texas print journalism is going to be headquartered in Lubbock, it appears to me. The Globe-News, if it is going to exist in any form, is going to play second-fiddle to the A-J. The recent hire of a regional director of commentary, who also is based in Lubbock, was enough of a signal of the future. Doug Hensley seems like a nice enough fellow, but I have yet to see an editorial posted in the G-N that even looks with a remotely critical eye at local issues, expressing local concerns, appealing directly to the local community. The newspaper shrouds its editorial commentary in a more global context, talking about the joint concerns shared by folks on the High Plains and the South Plains. That’s when the paper decides to publish an editorial that speaks to anything that could be construed as being of local interest. The papers have a regional publisher and a regional executive editor. Now they have a regional circulation director to go along with their regional director of commentary. Of the four regional execs, one of them — the executive editor — lives in Amarillo; the other three reside in Lubbock. What does that tell you? It tells me where GateHouse is investing its resources in Lubbock. I now officially fear for the future of daily print journalism in the Texas Panhandle. For those of us who invested time, energy and committed ourselves to the life of the community we loved, I believe this is a sad time. I am not the least bit crazy about critiquing the newspaper where my career ended. However, I’m going to bite down hard and offer this brief observation about how the newspaper is surrendering its relevance to local readers. The Amarillo Globe-News is going through a transition at this moment. It has turned the lights out at the building where it was headquartered for decades and has moved into the 31-story bank tower that dominates the downtown Amarillo, Texas, skyline. The Globe-News physical presence has been absorbed into another corporate entity. But it’s also doing something else I find totally repugnant. Its editorial page has been co-opted by “canned editorials” that the paper’s publishers are printing in the space that used to be the domain of the newspaper’s locally driven editorial policy. The paper’s director of commentary, David R. Henry, has left the paper to work for Amarillo City Hall. The newspaper had ceased commenting on exclusively local issues for some time prior to the director of commentary’s departure. Now, though, it is running editorials that (a) reflect the corporate ownership’s conservative editorial philosophy and (b) have not a damn thing to do with issues relevant to Amarillo and the Texas Panhandle. My hope is that GateHouse Media, the paper’s new owners, wise up to the need to restore the paper’s local relevance on its editorial page. Given that I know not a thing about GateHouse, my hope must stand on its own. A couple of years before I left the paper, I embarked on a policy to localize the paper’s editorial policy. I actually kept a log of editorial topics published daily. My goal was to concentrate on local/regional issues; state issues became No. 2 on our priority list. My thought, which I shared with the publisher (when we still had a relationship), was that readers didn’t really care what we thought about national or international issues. They were getting their fill of others’ perspective on Obamacare, taxes, world peace and climate change. They could turn only to the Globe-News for commentary on issues close to home. We sought to deliver that message to them. We were successful in that effort. I recall a couple of months when we published only local/regional editorials for the entire month. The publisher said he was pleased with that result. Then I got “reorganized” out of my job. I resigned from the Globe-News and the editorial policy we had pursued gave way to another editorial strategy. Fine. That was their call. Now, though, the Globe-News’s editorial policy reflects, well, no interest in what’s happening locally. It’s a shame. However, it can be corrected. I hope the correction occurs soon. They say “time heals all wounds.” I don’t necessarily believe it, but time does have a way of lessening some of those wounds’ pain. Six years have passed since my journalism career came to a screeching halt. It wasn’t of my choosing. It came because my boss, the publisher of the Amarillo Globe-News, decided to reorganize the operation. He told us to apply for any job we wanted. I chose to apply for the job I had been doing there for nearly 18 years. I thought I was doing a good enough job to keep it. Silly me. They hired someone else to do the job. They changed the title of the position from “editorial page editor” to “director of commentary.” That post used to report directly to the publisher; the new scheme has that position reporting to the executive editor. I walked away. I was angry, hurt and I bordered on despondent — but only for a brief period of time. Eventually, my despondence gave way to a different feeling. It was the first emotion to dissipate. The hurt was next. The anger remained longer. I want to declare, though, that today my anger has been all but replaced by gratitude. I am grateful these days to my former boss — who’s now the former publisher of the AGN — for protecting me from the chaos that has ensued since my departure from daily print journalism. He spared me from the madness of watching from the front row a media company — Morris Communications, the former owners of the AGN — trying to navigate its way into a new media world. It has been mostly an exercise in failure, fecklessness and futility. The Globe-News’s circulation has plummeted. Its revenue has done the same. It has slashed its staff levels. It has vacated one of the buildings it ran, and moved what’s left of its newsroom operation into an office it shares with what is left of its advertising sales department. I got to watch all of this from some distance. I was spared the chaos and confusion. Then came the clincher: Morris Communications sold its entire group of newspapers to GateHouse Media. Morris won’t call it this, but the company essentially surrendered, threw in the towel, walked away from a fight it couldn’t win. 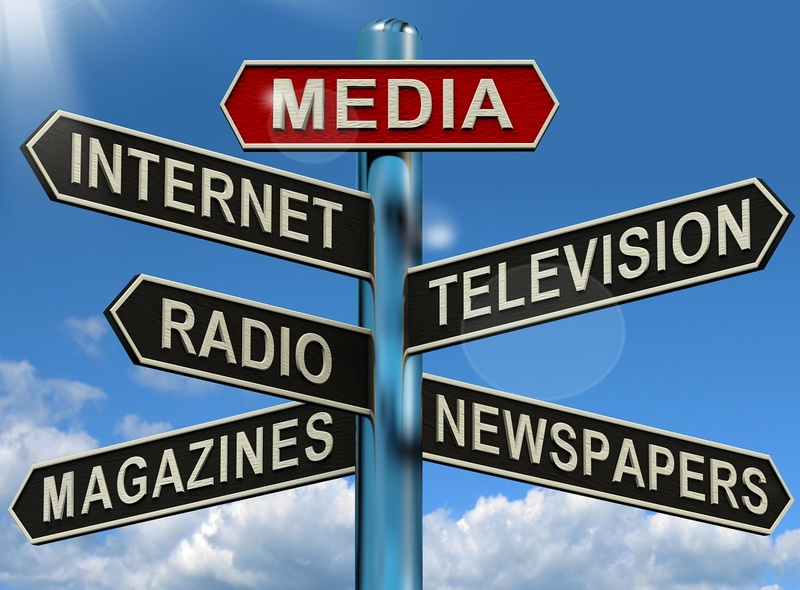 It realized it was unable to compete in this new “digital age” of news presentation. And what about the publisher who showed me the door six years ago? He “stepped down” a few weeks ago as AGN publisher when GateHouse decided it wanted to bring in its own guy to oversee the continuing deterioration of a once-proud community institution. To think I was saddened and angry in the moment — on my final day as a full-time journalist — that I would miss all of this. What will become of ‘newspapers’? I feel the need to put the word “newspapers” in quote marks because of a trend I am sensing. 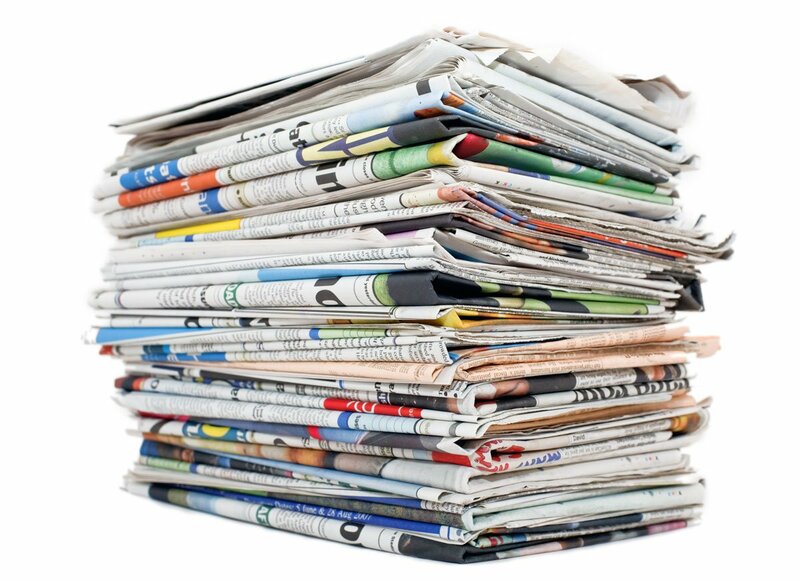 It is that “newspapers” as we have known them — and some of us have revered them — are on their last legs. At least that is my sense. Friends ask me all the time, even though I’ve been out of the full-time newspaper game for nearly six years, what I project for the craft I pursued for nearly four decades. When will this occur? I don’t know. I fear the pace of that day’s arrival might be accelerating. 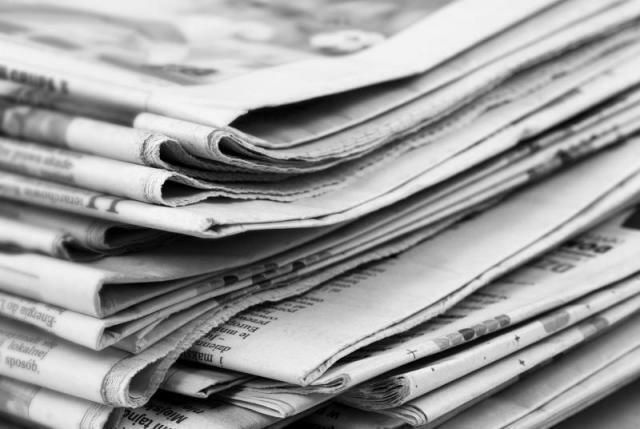 The Salt Lake Tribune recently announced widespread layoffs; it is just the latest major metropolitan daily newspaper to scale back its work force in the face of plummeting circulation and advertising revenue. So many others have gone through it. The Amarillo Globe-News is one of them. I worked there for nearly 18 years. Then I quit in August 2012 in the midst of a company “reorganization.” Just this past year, the paper quit printing its daily editions in Amarillo; it’s being done in Lubbock, at the presses of another newspaper under the same corporate ownership. Then in October of this past year, Morris Communications sold its entire chain of newspapers to GateHouse Media. The consolidation has continued, with the Lubbock and Amarillo newspapers operating under a single senior management team: a regional publisher and editor, both of who split their time between Amarillo and Lubbock. Do you see a trend here? I don’t know where this will all end. I probably shouldn’t even care — but I do, having devoted my entire professional career to newspapers as we all knew them, grew up with them, loved them and hated them. I will mourn the day they disappear. I’ve been trying to process the news I read over the weekend about the newspaper that employed me for nearly 18 years. I haven’t yet come to grips with all of it and its implications, but what I see does give me some concern about the future of print journalism in two West Texas communities. GateHouse Media, the company that now owns the Amarillo Globe-News and the Lubbock Avalanche-Journal has hired someone who serves as “regional executive editor” of both papers. Her name is Jill Nevels-Haun. As I read the story announcing her hiring, I read that she will split her duties between Amarillo and Lubbock. She presumably will commute between the cities, which are 120 miles apart; it’s not a long drive, given that you can drive 75 mph along Interstate 27 but the distance is substantial. What’s more, the communities’ issues are unique. They both have different concerns that weigh on the minds and hearts of residents and officials. Nevels-Haun speaks of her intent to develop new lines of communication between readers and, I presume, both newspapers. GateHouse purchased the papers in October from Morris Communications Corp., which had owned the G-N and the A-J since 1972. The publishers of the papers, both were Morris holdovers — Lester Simpson in Amarillo and Brandon Hughes in Lubbock — resigned more than a week ago. I have been informed that GateHouse plans to hire someone to replace the publishers who resigned. OK, so what’s the concern? This has the appearance of an inexorable step toward some form of consolidation of both newspapers into a single operation that would seek to cover the entire West Texas region from Amarillo to Lubbock. Morris already ditched its printing presses at the Globe-News and gave the print job to the Lubbock A-J. Since the GateHouse sale, the Globe-News has abandoned its office structure on Van Buren Street and moved what is left of the newsroom staff into its building on Harrison Street. The Globe-News is circulating far fewer copies daily than it did just a half-dozen years ago; I will presume the Avalanche-Journal is going through the same precipitous decline. The decline in circulation, by the way, is far from unique to this part of the world; it’s happening all over the country! I’ve been away from daily journalism now for more than five years. These comments are coming from the proverbial peanut gallery, which prohibits me from commenting in any detail about what I perceive is occurring. I do sense an inertia that is depriving both communities of the strongest voice possible from newspapers that have been charged with telling those communities’ stories for many decades. Nevels-Haun offers assurances that she and her employers are committed to strong community journalism. I don’t doubt her sincerity. It’s just that a single newspaper executive stretching her time — and her attention — between disparate communities is facing an enormous challenge. I cannot overstate the difficulty that awaits. Thus, I am left to wonder: Will the papers’ corporate owners be willing to invest the capital it needs to deliver on the new editor’s grand promise?